select *, DATE_FORMAT(birthday, "%b %e, %Y") as _birthday, DATE_FORMAT(died, "%b %e, %Y") as _died, MONTH(birthday) as month_birth, DAY(birthday) as day_birth, DATE_FORMAT(birthday, "%b %e") as _birth_day_month from agatti_people where agatti_people.u_name = "john-wayne"
Shares birthday with Al Jolson, Norma Talmadge, Robert Morley see more.. 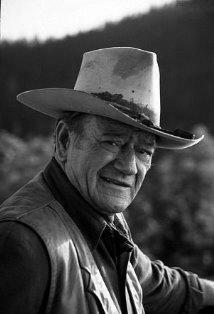 Legendary actor, John Wayne, was born Marion Robert Morrison on May 26, 1907 in Winterset, IA. 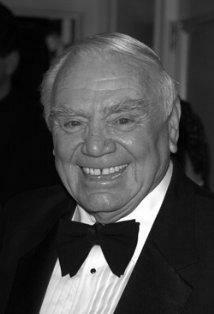 Wayne appeared in over 165 film roles. His best known films include Stagecoach, The Searchers, A Lady Takes a Chance, They Were Expendable, Fort Apache, Angel and the Badman, The Quiet Man, She Wore a Yellow Ribbon, The Comancheros, McLintock, The Man Who Shot Liberty Valance, Rio Bravo and True Grit. 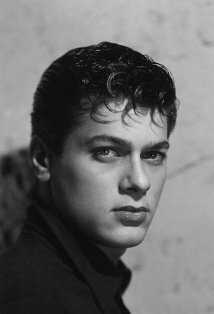 Wayne died at the age of 72 on Jun 11, 1979 in Los Angeles, CA and was laid to rest in Pacific View Memorial Park Cemetery in Corona del Mar, CA. One of the silver screen most legendary creatures and the very paradigm of modern cinematic masculinity, John Wayne was born Marion Robert Morrison on May 26th, 1907 in Winterset, Iowa. He obtained his famed nickname, "Duke," because of his constant companion, an Airedale Terrier named Duke. Needless to say, he much preferred the nickname to his given name of Marion. At the age of four, his family relocated to California. As a teenager, Wayne was constantly active. He worked multiple jobs, including truck driver, fruit picker and soda jerk while participating in school athletics. He became a particularly skill football player and went on to become part of his High School's championship football team. He would then attend University of Southern California on a football scholarship. During the summers, he found work at a local film studio as a general laborer. After an injuring himself in a bodysurfing accident, Wayne lost his scholarship and was forced to dropout, as he could no longer afford College. He continued to work at the studio. He soon met the still little known director, John Ford, who was just beginning to get noticed for his work in action and dramas. Ford was immediately impressed with young man's stature and physique. The two formed a fast friendship as well as a professional partnership that would go on to shape both of their respective careers/legacies. 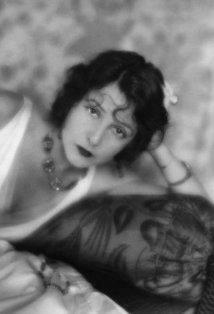 Ford cast Wayne in many of his later silent films, recognizing Wayne's magnetic screen presence and potential for stardom. 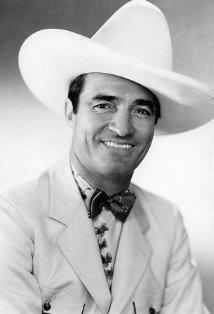 He later suggested Wayne to director Raoul Walsh for the starring role in 1930'sThe Big Trail. Despite the film's technological innovations and impressive photography, the film failed to recoup its pricy two million dollar price tag. Because the film was shot on 72-millimeter film stock, few movie theatres had the technology required to project the film. With limited distribution, the film was one of the biggest flops of the year. Wayne was once again playing bit roles in A-list pictures or starring roles in B-list roles. 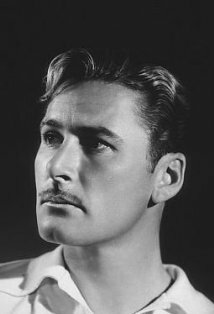 During the 1930's, he slowly reestablished himself by staring in small budget serials and action-westerns for smaller production companies. 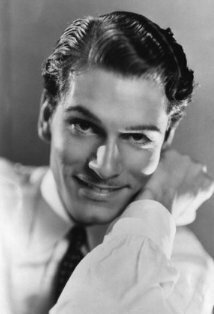 Between 1933 and 1939, Wayne starred in over 40 films. Nearly a decade after John Ford had suggested Wayne for the financially disastrous The Big Trail, Ford was ready to give the actor another huge opportunity. In 1939 Ford cast Wayne in his revolutionary western Stagecoach. Despite it'smoderate budget, the film was smash hit. Critic praised the film for it's fresh approach to the seeming stale genre and audiences were more than happy to handover the greenbacks to see their new hero, Ringo Kid as portrayed by John Wayne. Despite being billed under star Claire Trevor, Wayne quickly immerged as the true star of the film and with that, the beginnings of his legendary screen persona. The next decade would be crucial in shaping both his career and legacy. 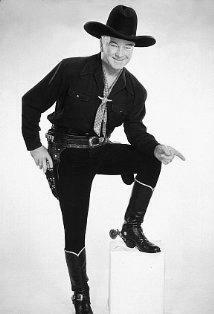 In the 1940's Wayne worked tirelessly, starring in over 30 films, mostly action-adventure, war, of course, westerns. Because of his age and an old sports injury, he was exempt from serving in the Military during WWII. Although this plagued Wayne for the remainder of his life, his exemption status only helped his career. With many of Hollywood's leading men fighting over there, Wayne became the cinematic symbol of battle hardened but compassionate solider. While other stars battled across the pond fighting to defend the country, Wayne, with his masculine individualism and strong authoritative presence, became the collective celluiod symbol of that fight. Films like 1940's The Long Voyage Home, 1942's Flying Tigers, and 1945's Back to Bataan all portrayed Wayne at the great charismatic, larger than life action hero, ready to pounce at duty's notice. During this time, he also toured U.S military bases and hospitals in the Pacific. After the war, even with the return of Hollywood's leading soldiers, Wayne continued to dominate at the box-office. His collaborations with John Ford, including 1945's They Were Expendable, was particularly successful and helped further his onscreen legacy. 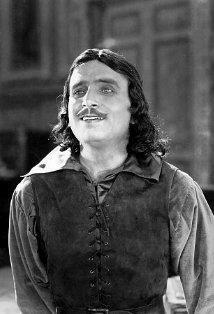 Although one of America's biggest movie stars, Wayne's talents as an actor were less than reputable. More symbol than thespian, it would not be until Howard Hawke's Red River, opposite newcomer Montgomery Clift, that he would gain merit as an actor. In the film he plays Tom Dunson, an unyielding, obsessive, morally obtuse cattle rancher willing to destroy his adoptive son for crossing him. 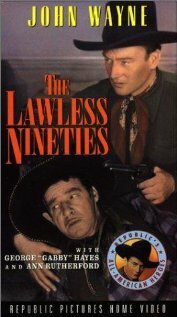 Missing was the usual heroics and noble motivations that are usually core the John Wayne persona. 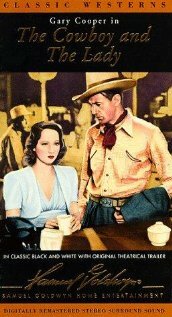 His further collaborations with Ford, such as 1948's Fort Apache, and 1949's She Wore a Yellow Ribbon continued to demonstrate. Wayne began the new decade with another John Ford film, Rio Grande, opposite frequent co-star Maureen O'Hara. 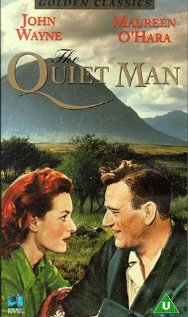 The trio would team up again, this time 1952 for The Quiet Man. The film was huge hit with Ford winning the Oscar for best director of a motion picture. Two years later Wayne would star in the disaster film prototype, The High and the Mighty. Although Wayne was unhappy with his performance and to a lesser-extent the film as a whole, it was one of biggest hits of the year. 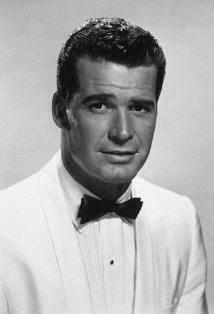 1956 would bring two of Wayne most notable roles but for vastly different reasons. In 1956, Wayne starred in two films that would sum up his legacy rather nicely. The first is John Ford's The Searchers. In the film, Wayne plays the obsessive and morally extreme, Ethan Edwards. Driven by aggression, revenge, and plain patriarchal/racist tendencies, Edward is also a caring, dedicated, and skillful man. He is both easy to love or hate: the very summary of best of the John Wayne screen legend. The film is considered by the major of film critics and historians to be his best. The final shot of Wayne standing alone, framed by the darkness of the doorway is one of the most iconic of all film history. The second film he starred in that year was the absolutely disastrous The Conqueror, where Wayne played the Mongol conqueror Genghis Khan. The film is notorious for many reasons, none of them very good. First was the gross miscasting of John Wayne, who lobbied tirelessly for the role. Second was the shooting location, near St. George Utah, which was less than 200 miles downwind of a nuclear testing site. Third was it's outrageous price tag of 13 millions dollars. The film, to no one real surprise, was one of the biggest flops of the year and since been on nearly every "100 worst films of all time" list. Wayne went to regret the role he so desperately wanted and RKO, the studio that produced the film, went bankrupt. The film is regarded as one of the worst of Wayne's career. Wayne opened the new decade with is directorial debut, The Alamo, in which he also starred. 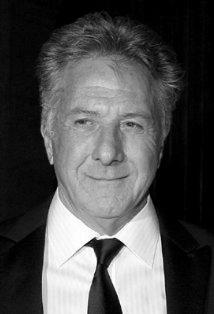 He was nominated for a Best Picture Oscar as he also produced the film. In 1962, he again teamed with John Ford and James Stewart for The Man Who Shot Liberty Valance. 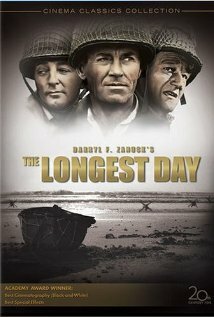 That year he also starred in the D-Day film, The Longest Day opposite Henry Fonda, Robert Mitchum, and Richard Burton. Although considered sub-par by critics, Wayne would score another hit with 1963's McLintock! 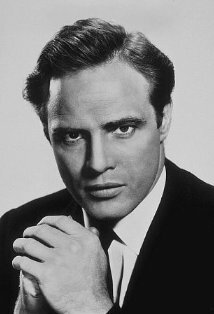 He continued the decade staring in subpar westerns and war films, elevating them to hit status with merely his on screen presence. It appeared although his popularity with critics seemed to have waned, audiences still clamored to see his films. 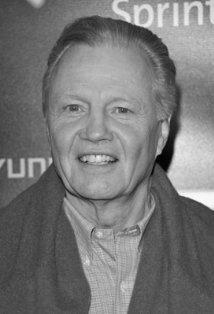 In 1969, he won his only Oscar for his role as Rooster Cogburn in True Grit. His popularity continued into the 70's with hits like the Dirty Harry-esque, McQ and Rooster Cogburn opposite Katherine Hepburn. His final was 1976's The Shootist. Shortly after finishing film was over, Wayne was diagnosed with stomach cancer. Some believe it was caused nuclear contamination suffered while filming The Conquer. Other's say it was his 6 pack a day smoking habit. On June 11th, 1979 John Wayne died of cancer at UCLA Medical Center. He was 72 years old. John Wayne was nominated for two Academy Awards, winning one for Best Actor for True Grit (as Rooster Cogburn) in 1969. He was honored with one star on the Hollywood Walk of Fame in the category of Motion Pictures. John Wayne's handprints and footprints were 'set in stone' at Grauman's Chinese Theater during imprint ceremony #90 on Jan 25, 1950. In addition, Wayne was inducted into the National Cowboy and Western Heritage Museum and was immortalized on a US postal stamp in 1990. Territorial Marshal Wistful McClintock: There's a sight I never thought I'd see: Quirt Evans behind a plow. Quirt Evans: That pony walks as soft as you do. Territorial Marshal Wistful McClintock: I taught him. Oh, I figured you'd have heard him... 'cept you were thinkin' too hard. Quirt Evans: Haven't you got some real important business to attend to... some place else? Ringo Kid: You may need me and this Winchester, Curly. Saw a ranch house burnin' last night. Bob 'Shortcut' Seton: [accepting Cantrell's dinner invitation] This is the first time I've had two kinds of bird for dinner - turkey to eat, and buzzard to look at. Aa a young man, Ethan Wayne was never allowed to leave the house without carrying cards that his father had autographed to hand out to fans. Listed in the 1910 U.S. Census as Marion R. Morrison, living with his parents in Madison, Iowa.